Home > Uncategorized	> Weeks’ loss is Brewers’ gain? Weeks’ loss is Brewers’ gain? If you haven’t heard by now, let me be the one to tell you: Rickie Weeks will not return to the field for the Milwaukee Brewers this season. Terrible loss for the Brewers right? Maybe. You see, I’ve always been a big Rickie Weeks fan. 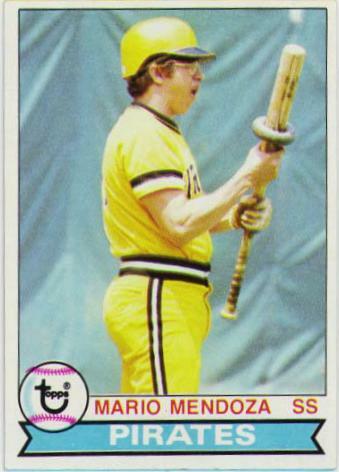 Even when he was hitting below the Mendoza line at this point last year, I still had faith in him. Why? Because the guy can hit. It was only a matter of time before he showed it and it looked like this year was going to be the year. Tough break, Rickie. 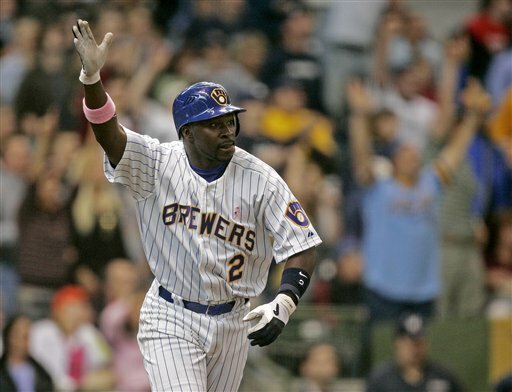 But as devastating as this loss would appear on paper to the Brewers with the loss of Weeks’ nine home runs and his 100 run, 100 RBI pace, it could be a blessing in disguise. Hear me out on this one. Last night, third baseman Mat Gamel had one heck of a coming out party. He crushed a three-run home run to give the Brewers a 4-0 lead in the third inning and made an incredible defensive play that earned a spot on last night’s SportsCenter Top 10 plays. And while he followed up that incredible play with a not-so-impressive throwing error, which eventually allowed the Cardinals to get back in the game, the rookie showed exactly why so many people have such a high opinion of his skills as a major leaguer. The other great thing about Gamel? He’s left-handed. It doesn’t take a baseball genius to figure out that he would fit perfectly in a platoon at third base with Bill Hall, who hits a mere .200 against righties. Yet, if manager Ken Macha wants to play Gamel and Hall at the same time, Hall could take over at second base. 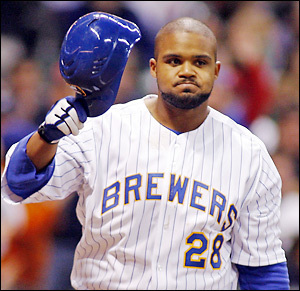 With Weeks vacating second base and Hall’s familiarity with the position, Gamel’s chances of staying up with the Brewers went up dramatically with the injury to Weeks. And while Weeks has been producing well so far this season, Gamel has a better track record as a producer. With last night’s home run, Gamel has hit nine home runs this season between Nashville and Milwaukee while driving in 34 runs and hitting at a .333 clip. The Brewers have been living and dying by the long ball this season, so shifting the home run production from the leadoff spot to lower in the lineup can only serve to improve the number of runs scored on their home runs. Jason Kendall and the Brewers pitchers can’t be expected to provide a lot of RBI potential for Weeks in the leadoff spot, despite his 100 RBI pace. Gamel, on the other hand, showed just how likely he is to have opportunities to hit with men on base with Ryan Braun, Prince Fielder, Mike Cameron and Corey Hart batting in front of him. And if he can produce like he did in St. Louis, perhaps he will provide some protection for Hart and help him get out of his recent slump. So now how do the Brewers replace Weeks at second base? 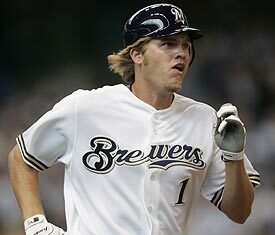 Last night, Macha opted to start the hot-hitting Craig Counsell in place of the injured Weeks. Tonight, it looks to be Casey McGehee, who Macha said would start the first two games against Houston with the Astros sending a pair of lefties to the mound. So, it looks like a platoon at second base to go along with the inevitable on at third. Of course, Counsell and McGehee are not exactly known for their offensive prowess, so what other options do the Brewers have? The most likely one is second baseman Hernan Iribarren. Milwaukee recalled Iribarren from Triple-A Nashville today to replace Weeks on the roster. And while Iribarren doesn’t have the power of Weeks, he is hitting .308 in 35 games for Nashville and could be an excellent table setter for Braun and Fielder. So how will utilizing a rookie in Iribarren at second base and a rookie in Gamel at third base help the Brewers after the loss of Weeks? Well, in a best-case scenario for the Brewers, Gamel picks up the slack as far as power numbers while Iribarren, Counsell and McGehee set the table for the rest of the team. The one Weeks stat most people overlook is runs. At this point last year, he had scored more runs than he has this year, despite hitting nearly 100 points higher and hitting more home runs. If Weeks’ replacements can play a strong defensive second base and provide a high on-base percentage, the loss of his power bat will not be nearly as significant, especially if Gamel provides an added boost in the No. 7 spot. Sure, it’s great to see Weeks hitting lead-off home runs, but if players like Iribarren, Counsell and McGehee can get on base, the Brewers’ true run producers — Braun and Fielder — should be expected to drive them in. And if they don’t, hopefully Gamel will.